Posted in: Ashley Parker Angel, Fans, Other/Miscellaneous, Video Files. Tagged: acoustic, Apology, Ashley Parker Angel, cover, Leonardo Cabezas, live. Posted in: Danno (Dan Miller), Erik-Michael Estrada, Gallery, Jacob Underwood/Jacob’s Loc, O-Town, Tre Scott (Trevor Penick). HAPPY HOLIDAYS AND A WONDERFUL 2013! The best wishes from O-TOWN WEB. 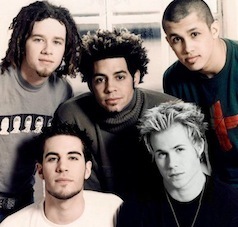 Happy 32nd birthday, Trevor Penick!